I never tire of Rome. No matter how many times I visit, there’s always something new to discover – be it a museum, a fresco, a funky bar or a tempting gelateria. The hotel scene is changing too and visitors now have far more choice than ever before, with cosy B&Bs, sleek suites and trendy boutique retreats giving the traditional establishments some healthy competition. This isn’t a cheap destination though and the places that offer the best value tend to get booked up quickly. Try and book well in advance, or visit out of season – Rome has a wonderful climate and can be surprisingly balmy, even in December. Here’s a selection of hotels, with something to suit all budgets. More of a collection of chic suites than a traditional hotel, Portrait Roma sits above the Ferragamo store on Via Condotti, the city’s most famous designer shopping street. It makes for a stylish bolthole – the decor all muted neutrals enlivened with pops of colour, sketches of Ferragamo’s covetable shoes on the walls, sleek kitchenettes and all the modern tech you could wish for. 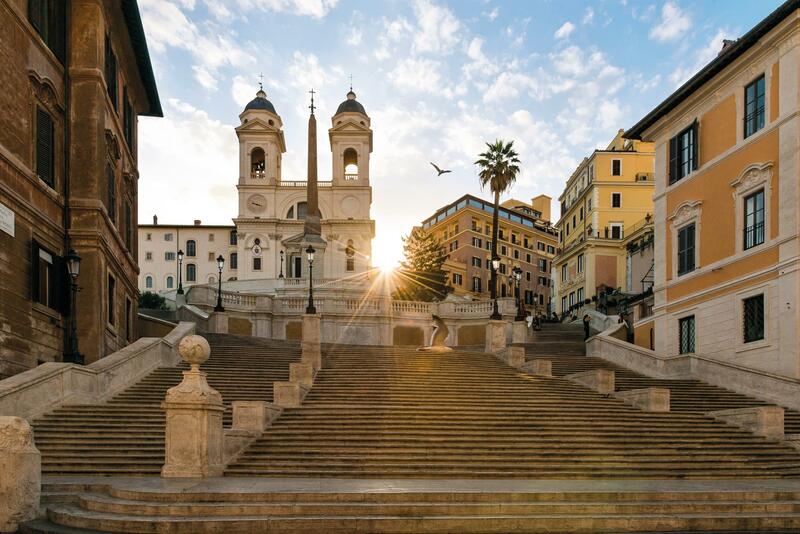 Just a short walk from the Spanish Steps, it also has an exclusive roof terrace where you can take breakfast or sip aperitivos. It’s the attention to detail that has given this boutique townhouse a loyal following. It mingles luxury style – all onyx, antiques and glamorous marbled bathrooms – with a relaxing home-from-home feel. 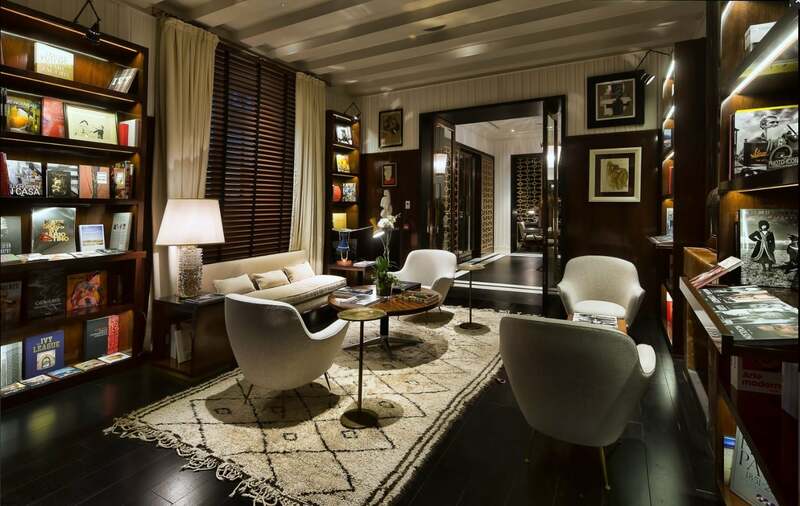 Rooms have free mini-bars as well as Bose sound systems, dining is unstuffy with an all-day cafe that serves gourmet burgers and club sandwiches, and there’s even a library where you can flick through glossy books on fashion and art. 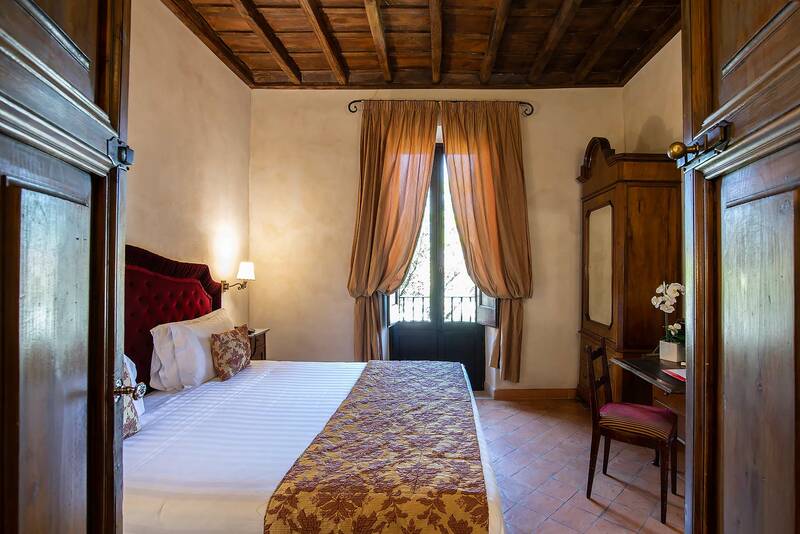 Traditional wooden beams and rich fabrics give the rooms at this luxury hideaway a cosy feeling, while the roof terrace offers fine views of some of Rome’s most famous landmarks. But what really sets this hotel apart is the fact that it has a 2,000 year old cryptoporticus (a stone gallery with engravings) in the cellar. Discovered in the late 19th century, it once stood between a densely populated part of Rome and the Imperial Forum – the remains of which are just a short stroll away. It only opened last year, but this converted palazzo has already gained a reputation as a classy retreat. Tucked away on Via Margutta – known as the artists’ street as it was once home to names like Stravinsky, Picasso and Fellini – it has a chic, uncluttered style. 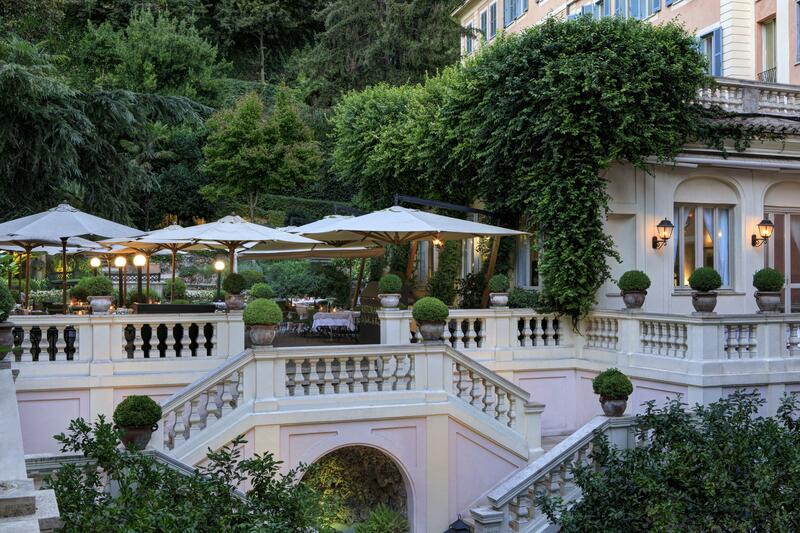 The restaurant serves Roman classics with a modern twist, rooms are decorated in soothing neutral shades and, unusually for Rome, there’s a secluded garden which helps you feel tranquil and pleasantly snoozy. If you’re after cheap but stylish accommodation in Rome, then this hip hostel in a converted chain hotel should fit the bill. It has a mix of private rooms with en-suite bathrooms, all decorated in an unfussy contemporary style, as well as some shared dormitories. There’s a cosy bar and lounge, as well as a cafe for fuelling up on espresso. It’s ideal if you’re touring as the hostel has luggage storage facilities and is about 10 minutes’ walk from Termini railway station. This ivy-clad hotel is still independently owned and makes a charming love-nest, with its traditional mix of antiques, coffered ceilings and rich red fabrics. It’s centrally located so you can soak up the lively atmosphere of the nearby market and stroll hand-in-hand to take loved-up selfies by the Trevi fountain. 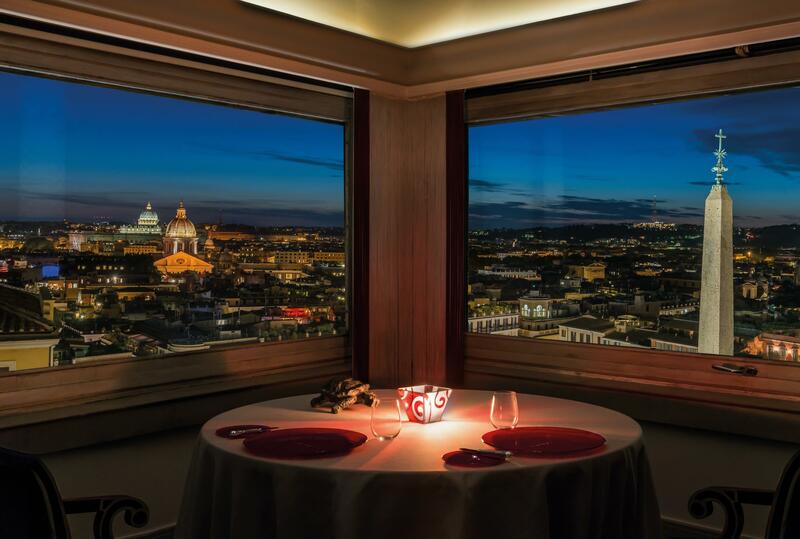 The high point, both literally and figuratively, is the roof terrace which offers panoramic views of the Roman skyline. 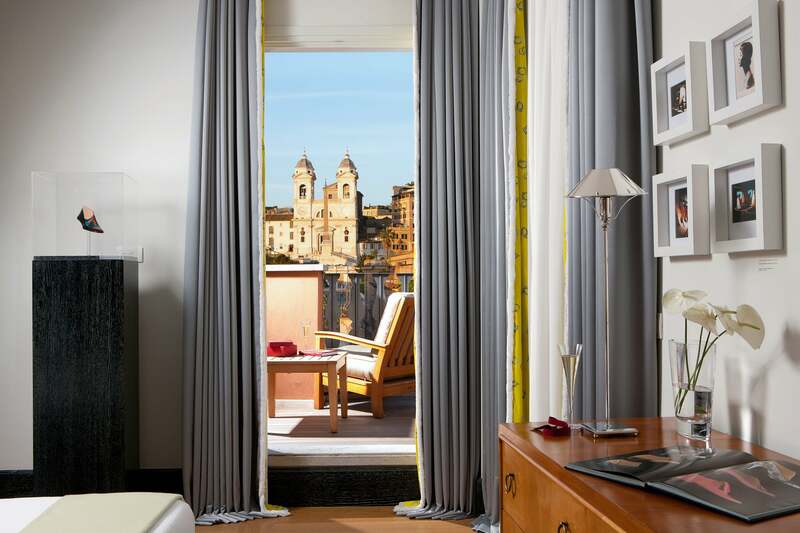 They’ve been looking after celebrities and (well-heeled) civilians at The Hassler for 125 years, and this luxury hotel by the Spanish Steps serves up a reliable mix of tradition, opulence and excellent service. 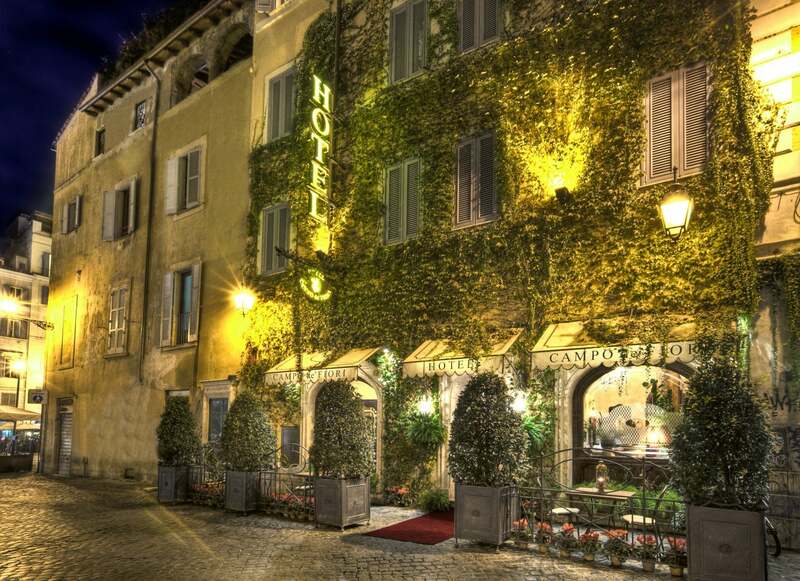 Its appeal to foodies lies in Imagò, its Michelin-starred restaurant. 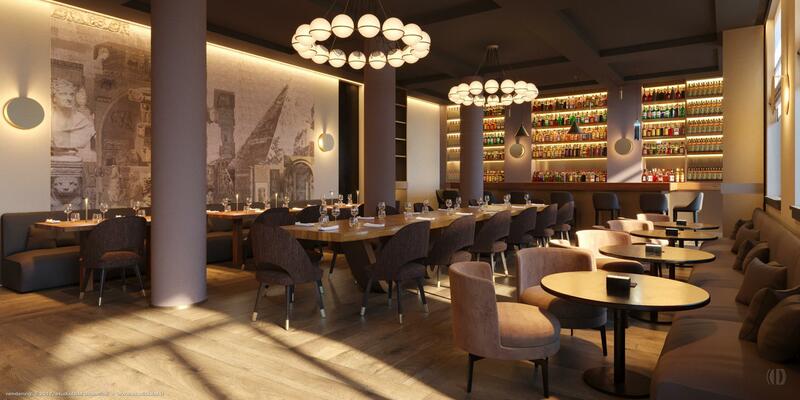 Set on the sixth floor, and run by chef Francesco Alpreda who gives a new twist to classic Italian dishes, it also offers stunning city views. This former convent has been converted into a comfortable hotel, but still oozes serenity with its own church, garden courtyard and vaulted ceilings. Rooms are chic but simple and breakfast, which you can eat in the garden, includes a feast of vegan treats. The building was designed by baroque master Borromini and sits in the heart of Trastevere, a wonderful maze of cobbled streets and courtyards just across the Tiber from Rome’s main historic centre. Designer Olga Polizzi gave this hotel a classy feeling, merging traditional style with art deco flourishes. 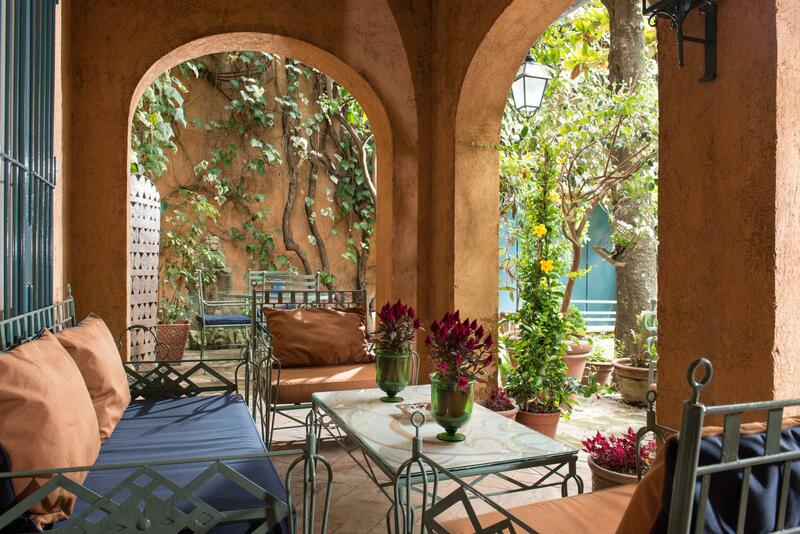 Although it’s close to the Spanish Steps, one of Rome’s tourist honeypots, the hotel feels like an oasis of calm – thanks in no small part to its secluded garden. You can dine out there on hot summer nights, or sip a cocktail and people-watch on the private piazza at the Stravinskij Bar. There’s a sleek spa too, with a salt hydropool and a Finnish sauna – well, you can’t neglect la bella figura in Rome after all. There are just three rooms at this lovely little B&B run by Luisa Longo, who lives and works here. She works with textiles, particularly silks and satins, which she has used to give each room a distinctive bohemian feel. All the rooms are en-suite and you can take breakfast on the little patio, before you set off for a day’s sightseeing. We may earn some commission if you click on a link in this article and buy a product or service, but we never allow this to influence our coverage. This article was originally published by Independent.co.uk. Read the original article here.